Phew! We have made it through another week! The weather tried to be nasty yesterday but to no avail... We had some rain, lightning and rumbles of thunder. Today is suppose to be a bit worse. Hopefully it will wait until I am home! 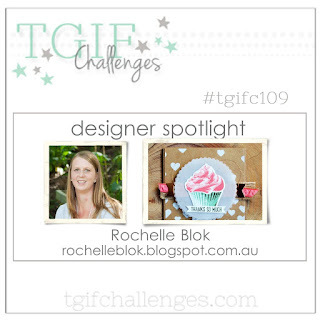 I am back with TGIF Challenges with a fun Designer Spotlight Challenge, Rochelle Blok. I couldn't wait to do this challenge. There isn't really a card that Rochelle makes that I don't like. Her color combos are amazing and the girl likes some pink. I mean, what girl wouldn't! I surfed Pinterest and her blog for some inspiration. I hope I have done her proud! This fun card started with Melon Mambo ink using the retiring Writing Notes background set. I layered this onto a Basic Black matte with a Melon Mambo base. 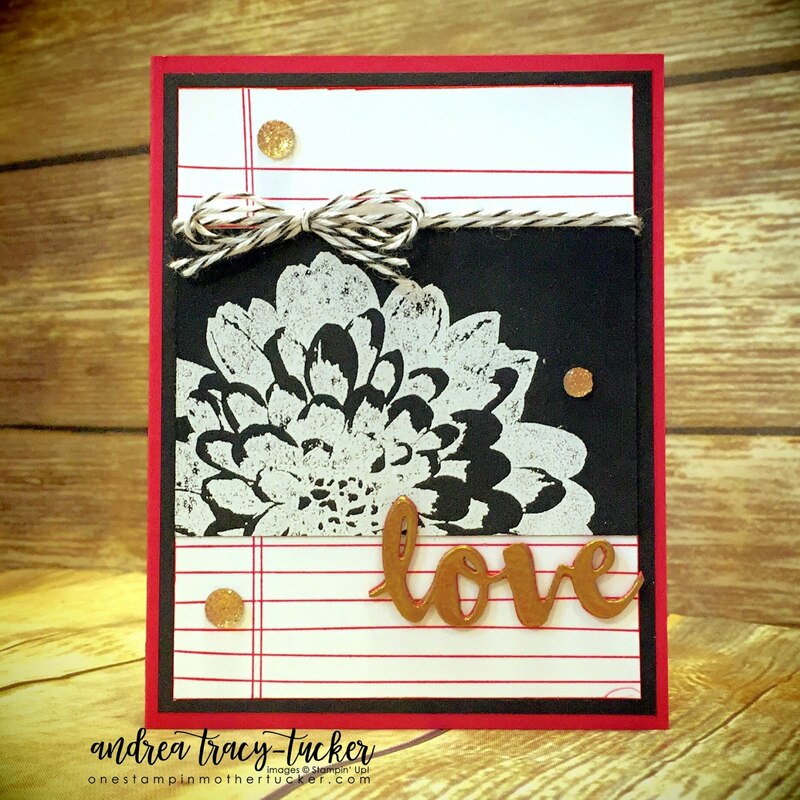 I took about a 3" Basic black strip and heat embossed in Stampin' Emboss White the Definitely Dahlia then adhered it to my Writing Notes stamped layer. Some Basic Black Bakers Twine with my fun Stampin' Emboss Gold sentiment from the Sunshine Wishes die set and I was almost done! I added a few Gold Faceted gems and it gave the card just the right amount of sparkle! So glad to share my card with you today! I can't wait to see how Rochelle inspires you! Gorgeous card! I really love how much dimension the 'love'sentiment has with the embossing. Awesome job!